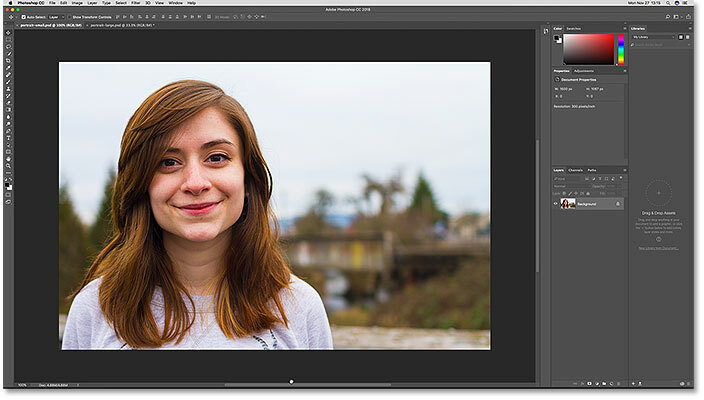 This tutorial shows you how to instantly match the size (width and height) of two open images or documents in Photoshop using the Image Size dialog box and the Window menu. For Photoshop CC, CS6 and earlier. 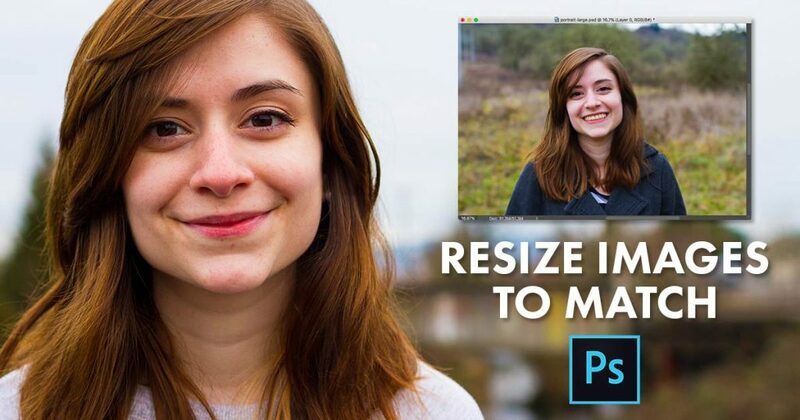 If you're compositing images, designing a layout or uploading photos to the web, you'll often need to resize images in Photoshop so that they share the same dimensions (the same width and height). 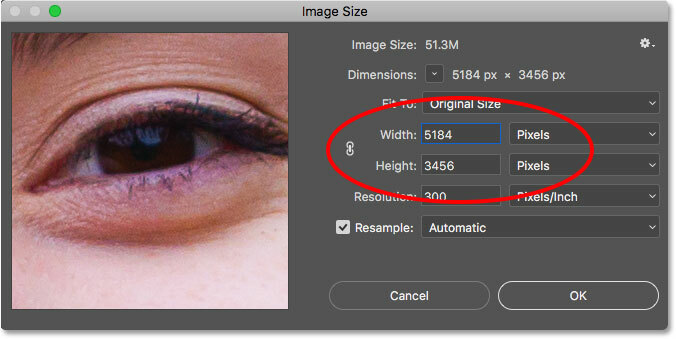 One way to do that would be to manually enter the same values for the width and height into Photoshop's Image Size dialog box for each image you need to resize. But if one of your images is already the size you need, here's a time-saving trick you can use to quickly resize another image to match! I'll be using Photoshop CC 2018 but any recent version will work. The first of two open images. Photo credit: Adobe Stock. Opening the Image Size dialog box. 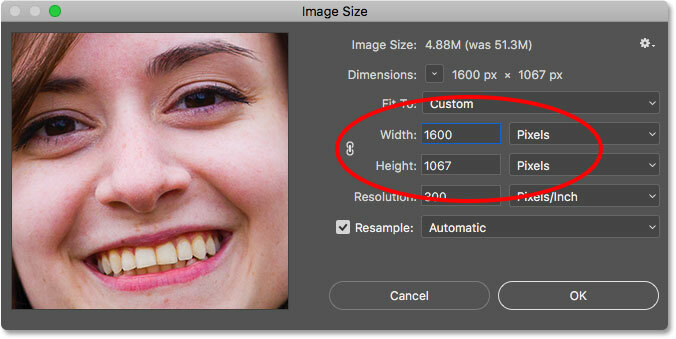 The Image Size dialog box showing the current width and height of the larger image. Clicking the tab to view the second image. The second of the two open images. Photo credit: Adobe Stock. The second image is already set to the width and height we need. Selecting the image that needs to be resized. The current width and height of the image. Selecting the image with the size to match from the Window menu. 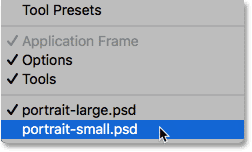 Photoshop automatically matches the width and height of the other image. And there we have it! 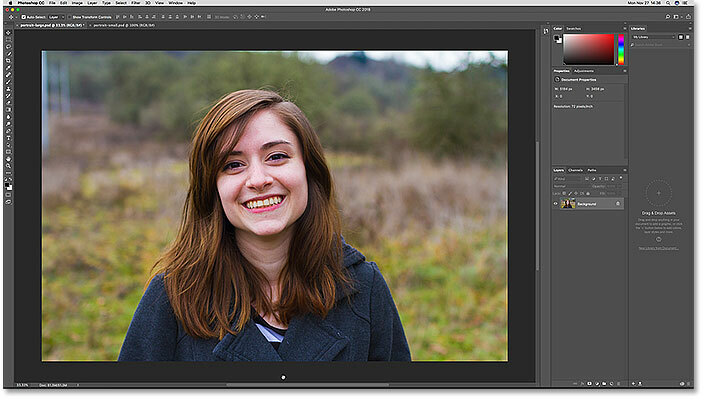 That's how to quickly resize an image to match the size of another in Photoshop! 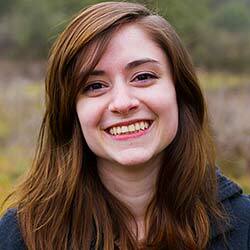 To learn more about resizing images, see How To Resize Images In Photoshop. Or visit our Photoshop Basics section for more tutorials!